Drug abuse is continued misuse of drugs even when faced with drug-related job, legal, health, or family difficulties. Drug dependence is long-term, compulsive drug use. The person may attempt to stop using drugs, but repeatedly return to drug use despite physical, emotional, or social harm. Drug dependence also means that the body has begun to require the drug in higher doses to have the same effect and to avoid withdrawal symptoms. The exact cause of drug abuse and dependence is unknown. There are many theories, though. For example, some people may inherit certain genes that make them more likely to abuse drugs. Another theory is that people learn how to use drugs by copying the behavior of others. 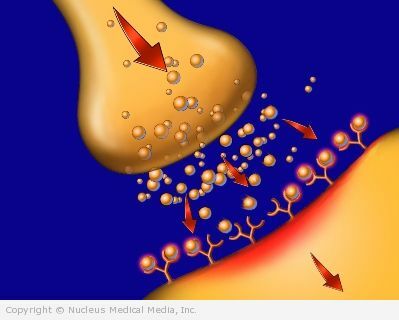 Also, changes that happen in the brain due to long-term drug use may reinforce a person’s desire to keep using drugs. It is common for a person to deny that he has a drug problem. Drug abuse can occur without being physically dependant on a drug. How much do you use? Do you have to increase the amount of drugs that you use to get the same effect? Your doctor may order blood or urine tests to check for the presence of drugs. Drugs may help relieve withdrawal symptoms. In some cases, your doctor may prescribe medicine to help reduce the risk of relapse. Therapy can help raise your awareness of issues and lifestyle choices that lead you to abuse drugs. Through therapy, you can improve your coping skills and problem-solving skills. You can also learn how to replace drug-using activities with healthier choices. It is also important that your family is involved in your treatment. There are many organizations and support groups dedicated to helping people become drug-free. Two examples are the 12-step programs Narcotics Anonymous and Cocaine Anonymous. Members meet regularly to talk about their drug-related problems and their recovery. They provide a network of support. Do not spend time with people who are abusing drugs. Have a good relationship with your children to help reduce their risk of using drugs. Seek therapy for anxiety, depression, and other mental health problems.